Review: Conan #1 plus a chance to Win! 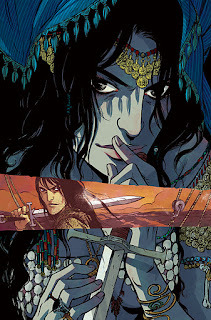 Remember way back in October, when I got a chance to interview Brian Wood and Becky Cloonan about the Conan series? Well, issue #1 is out this week, and it rocked my world! 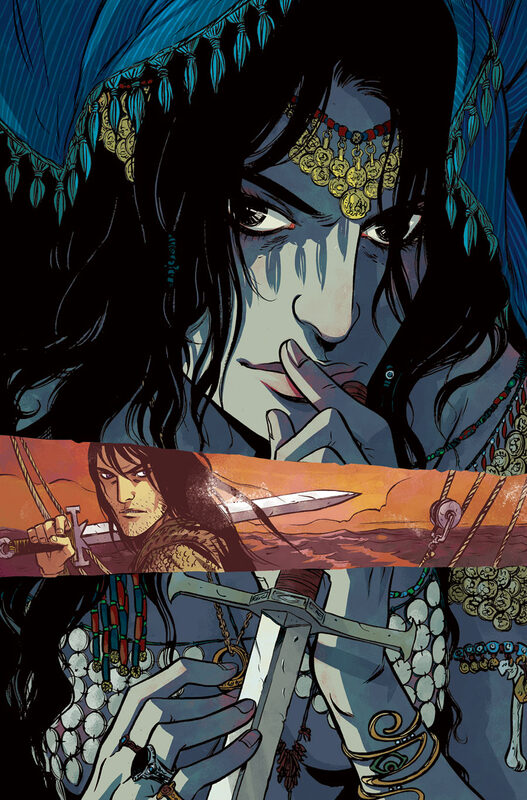 This first issue follows Conan as he jumps on board of a ship while he is running from the law and falls in the path of Belit, the Queen of the Black Coast. Never reading Conan before, this was an interesting intro in his world. The story provides only a little background, but you are engrossed from the start. Right away, Conan's charisma makes you root for him. This character shows honor that a hero should have, especially when he helps the ship captain defend himself. Still, we see Conan's flaws when he puts others in danger to save himself. This looks like it will be an interesting source of character development in the future.